Windows 7 has been one of the most successful operating systems developed by Microsoft. Around 40% of the world’s computers, most in corporate environments, are still running the venerable nine-year-old system. There are numerous valid reasons to stay with Windows 7 but it’s time to start preparing for the inevitable upgrade your business is going to need. Every Windows product has a lifecycle. 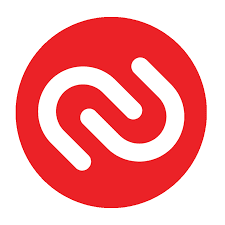 This lifecycle starts when a product is released and it ends when it is no longer supported. These dates enable you to make an informed decision about the changes that you need to make to your software and to organise this so that there is a minimum of disruption to your business. Microsoft ended mainstream support for Windows 7 on January 13th, 2015 but extended support doesn’t end until January 14th, 2020. Whether you are upgrading an existing device, buying a new one, or just need help deploying, we have the help you need here at Cetsat. We have compiled a list of the most common questions we have been asked. Please don’t hesitate to contact us with any new ones. Each business is unique. Can you upgrade your existing PC to windows 10? Yes, you can upgrade compatible Windows 7 PC’s based on a few requirements with a full license but it is a lot more cost effective to take advantage of the latest hardware capabilities and purchase a new PC with Windows 10. What happens if you continue to use Windows 7? That is of course your choice but once support ends, your PC will become vulnerable to security risks. You will no longer receive security and feature updates. 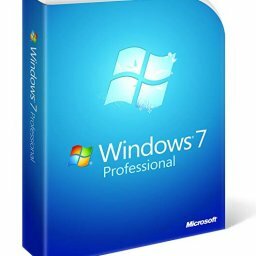 Windows 7 can still be installed and activated after support has ended but to avoid security risks and viruses we recommend that you consider upgrading. Microsoft will no longer take responsibility for loss of data due to security breaches after January 14th, 2020. With new malware developed daily it is important to understand that continuing to use it after this date will put you at risk of a cyber-breach. No, it follows the same support cycle as Windows 7. Can you get a free upgrade to Windows 10? Only if you have Microsoft 365 Business. It comes with a free upgrade for users with Windows 7,8 or 8.1 Pro. By purchasing Microsoft 365 Business your users can upgrade all of their old Windows Pro licensed devices at no additional cost. It is best to seek the help of a professional IT service to ensure that everything is upgraded correctly and that all firewalls and antivirus are in place and working optimally. You may need to take specific steps to make sure everything is fully compatible.